A troubled, directionless young person is forced by tragedy to return to their hometown (or some other remote location), where quirky relatives and new acquaintances unknowingly help them sort out their personal problems. What movie is this? If you’re a fan of independent cinema, you probably had at least a dozen titles flood your head simultaneously. That basic plot is one of the most overused in the indie world. A Country Called Home diligently hauls it out once more. Imogen Poots stars as Ellie, a resident of Los Angeles in an unhappy relationship with a gambling addict. One day, she gets a call that her estranged father has had a stroke and may not live much longer. 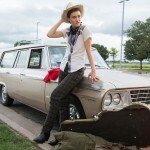 Ellie heads to the small Texas town where he resides. He dies before she gets there, but she opts to stay for the funeral. While in these dusty boondocks, she meets the grandparents (June Squibb and Norman Bennett) she never knew, befriends a transgender singer/songwriter named Reno (Mackenzie Davis), and struggles to find common ground with her tacky stepmother Amanda (Mary McCormack). 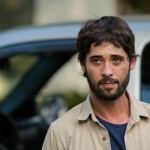 Ellie also finds herself attracted to Amanda’s son Jack (Ryan Bingham), who has his own litany of problems. All of these people teach her something that helps her come to terms with the resentment she has long held against her father. If A Country Called Home marches down a familiar path — and it absolutely, unequivocally does — it at least shows a sense of restraint. There aren’t a lot of grand Look at the important thing happening here! moments. On the other hand, the film might go too far in the opposite direction. Not much in the story is developed enough to achieve a significant impact. All the plot threads are surface level, at best. Ellie’s burgeoning romance with Jack, for instance, is so threadbare that it almost seems out-of-nowhere when they nearly kiss. Scenes with Reno are a little better, but could have gone much further. The singer helps Ellie tap into the “fun” side she’s lost touch with. They have a funny scene in which they exact revenge upon a mean store owner. More moments like that would have been valuable in making Ellie’s emotional healing palpable for the viewer. Director/co-writer Anna Axster has some difficulty settling on a tone. Parts of A Country Called Home are somber and serious, but they bump up against other parts that have a broad comedy feel. Exhibit A: a scene in which June Squibb takes part in a senior citizen fashion show that seems designed simply so she can take a big old pratfall off the runway. Capturing life’s inherent mixture of seriousness and humor is difficult at best; A Country Called Home attempts to get it right, only to end up assembling its elements in a fashion that calls attention to how pedestrian the plot is. In any regard, the performances are pretty good, and they redeem the film to a certain degree. Imogen Poots (Need for Speed) gives a nice, restrained turn as the confused Ellie. She never relies on melodrama, instead suggesting the ways that the character absorbs and internally processes the circumstances around her. Even if we don’t care about everything the plot is doling out, we care about Ellie. Mary McCormack gets to go a little bigger as the trashy stepmom, yet she avoids turning Amanda into a caricature. She may be brash and ballsy, but she’s also a woman mourning the loss of her husband. The real standout, though, is Mackenzie Davis (The Martian), who takes what could have been a stereotype and turns Reno into a full-blooded, fascinating character. The actress provides A Country Called Home with a much-needed shot of energy. Good intentions abound in this earnest little picture. It really tries hard to tell an affecting story about a young woman who learns to love, to forget, to heal, and to have confidence in herself. A Country Called Home has the cast to pull that task off. 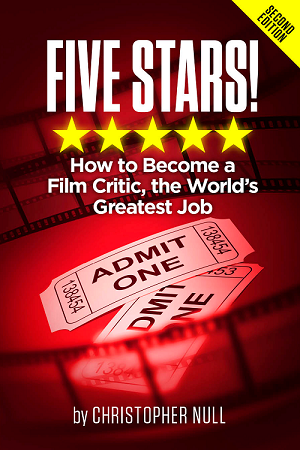 What it lacks, though, is the clear vision to know how to distinguish itself from a hundred other similar movies. A Country Called Home (2016) Full Movie VISIT >> http://bit.ly/acountrycalledhome CLICK BLUE LINKS DESCRIPTION FOR PLAY & DOWNLOAD HIGH QUALITY FULL MOVIE !!!!! Why does the negative review for Deadpool link to this review? This is a joke right?